Get a foursome together, and captain your crew to the top of the leaderboard in this scramble tournament... with many ways to walk away a winner! 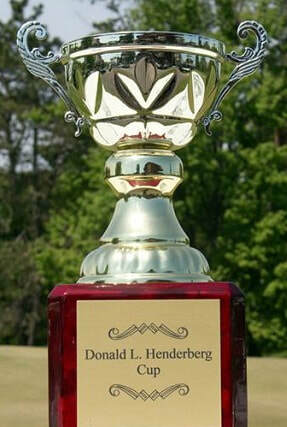 ​We are proud to extend the tradition, begun in 2012, of adding the names of the winning foursome to the Donald L. Henderberg Cup, our championship trophy named for the late, longtime friend and supporter of the Scholarship Fund. The JayCW Golf Tournament has become a much-anticipated annual event that has matched golfers of all skill levels and competitive abilities, real or imagined, for a day of sport and stories hosted by the professional and friendly staff of Rome Country Club. ​A 12:15 PM Shotgun Start begins this Captain-and-Crew Scramble tournament. Your ​$75.00 per player entry fee includes golf, cart, and steak buffet dinner served at the clubhouse. All players get a swing at winning the $25,000 Hole-In-One*, the Closest To Pin prize, as well as the option to enter the skins game and other mini-games... and the $5,000 Putt Contest*! 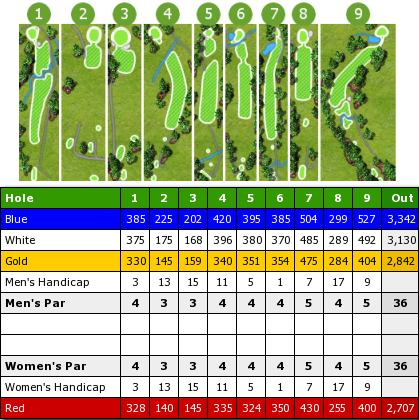 *$25,000 Hole-In-One and $5,000 Putt prize awards are subject to rules, terms and conditions. All tournament participants who have ever been a Professional are ineligible for both contests. make it your business to get involved! ​We offer businesses the opportunity to be represented at the JayCW Golf Tournament with a sign posted on the course at Rome Country Club for all golfers to see. ​In addition, a screen projection runs throughout the awards banquet with your same graphic cycling at 15-second intervals, for around 24 views per sponsor during the event. A $75 sponsorship will put your full-color logo on a sign and in the banquet display. ​The Golf Tournament provides a large portion of the total annual funds raised for the Fund to carry on its mission, thanks in no small part to the generosity of golfers and sponsors. ​We are excited to offer another way to walk away from the JayCW Golf Tournament a winner... every player will get a chance sink a hole-in-one on the designated hole to win $25,000! Take a swing, that's about all there is to it... the only remaining question is: What you could do with all that money? Think it's impossible? We recorded the first hole-in-one in tournament history in 2016. Thank you to The Guggis for sponsoring the $25,000 Hole-In-One contest, and for helping The Jason Christopher Wilhelm Scholarship Fund grow and prosper since its first day in 2008. ​Thanks once again to the generosity of Roger Closinski, the Closest To Pin prize is a three-night getaway to the Poconos! Roger has offered his exclusive Two-Bedroom Deluxe accommodations at the Wyndham Vacation Resorts Shawnee Village - Crestview in Shawnee-On-Delaware, Pennsylvania. Over 1,000 square feet of well-appointed living space... two bedrooms, two baths, complete dining and kitchen areas, and room to host up to eight people. Explore the beauty of the Poconos, nearby golf course, spa and salon, or just relax with friends or family. Guests are responsible for all expenses other than lodging. Take your best shot at this one-of-a-kind prize for Closest To Pin! The $5,000 Putt contest has become the highlight of entertainment for the day. NYE Automotive Group of Oneida [www.nyeauto.com] has graciously sponsored the contest once again, 'putting' more dollars to work for the mission of The Fund through reduced event expenses. Throughout the day, tournament golfers will have the opportunity to purchase tickets for a drawing to be held at the conclusion of the banquet dinner. 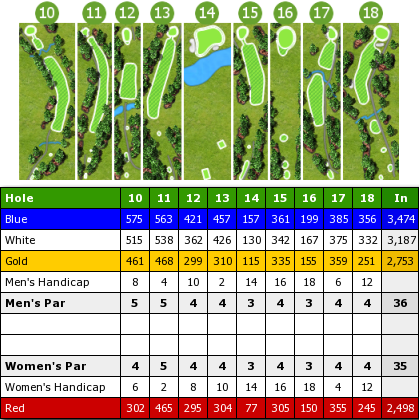 Two names are drawn, and the two entrants attempt a 50-foot putt without practice shots or prior knowledge of the starting point or hole location. A successful putt wins that entrant $5,000! The other entrant still has an attempt to claim their own $5,000 prize if they sink their putt. If any portion of number 3 should occur, utter pandemonium breaks out and winner(s) attain legendary status with the greatest sporting moment most will ever witness. Whatever the outcome, it will provide a thrilling finish to a great day of golf for a good cause! ​Wes and staff ensure a great playing course and a friendly, relaxed atmosphere in the clubhouse. You'll benefit from their personal efforts to make this a consistently successful event for our organization.